The Women's Bible Commentary is a trusted, classic resource for biblical scholarship, written by some of the best feminist scholars in the field today. 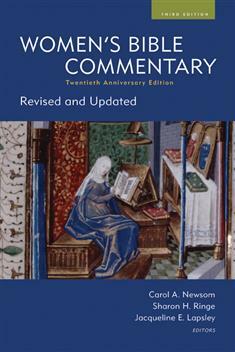 This twentieth anniversary edition features brand new or thoroughly revised essays to reflect newer thinking in feminist interpretation and hermeneutics. It comprises commentaries on every book of the Bible, including the apocryphal books; essays on the reception history of women in the Bible; and essays on feminist critical method. The contributors raise important questions and explore the implications of how women and other marginalized people are portrayed in biblical texts, looking specifically at gender roles, sexuality, political power, and family life, while challenging long-held assumptions. This commentary brings modern critical methods to bear on the history, sociology, anthropology, and literature of the relevant time periods to illuminate the context of these biblical portrayals and challenges readers to new understandings. This hardback edition is available in North America for a limited time only.